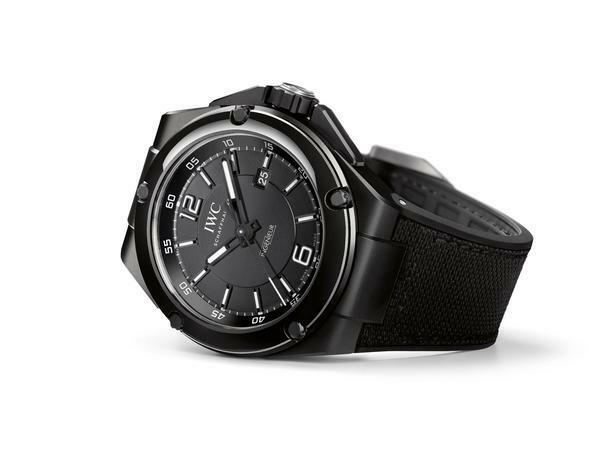 Just like 2012 has been the year of the Pilot line for IWC, 2013 will be the year of the Ingenieur line so we can expect several new models before and during the SIHH 2013 event. 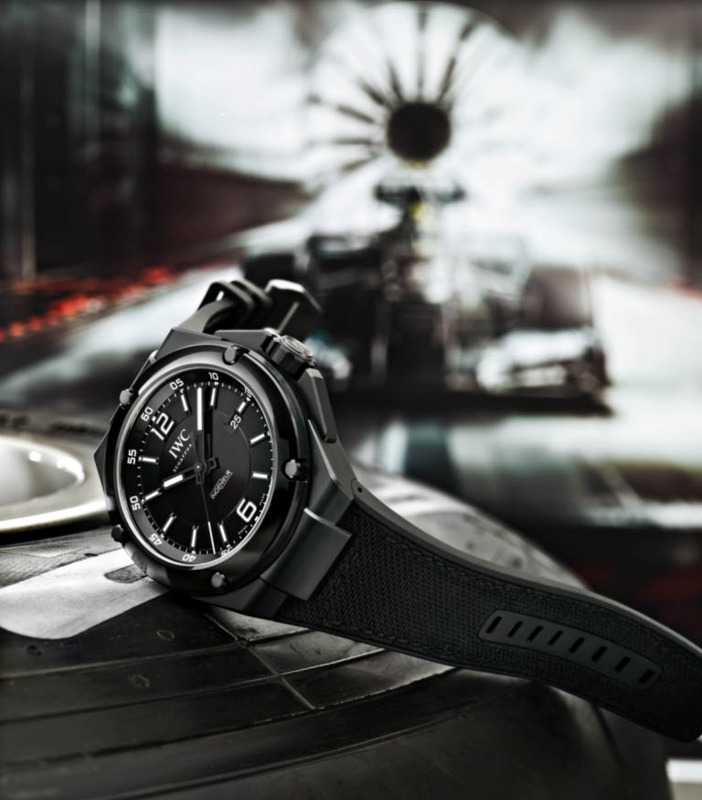 After the new IWC Ingenieur Automatic 40 mm, we have another preview: the Ingenieur Automatic AMG Black Series Ceramic. As the name says, IWC has been cooperating with AMG - the high-performance division of Mercedes-Benz - to develop this sporty and masculine model. The ceramic case has a diameter of 46 mm with a thickness of 14,5 mm. IWC presented two versions so far: one in full black with white numerals and one in brown beige numerals with the strap matching the brown and beige colour tones. 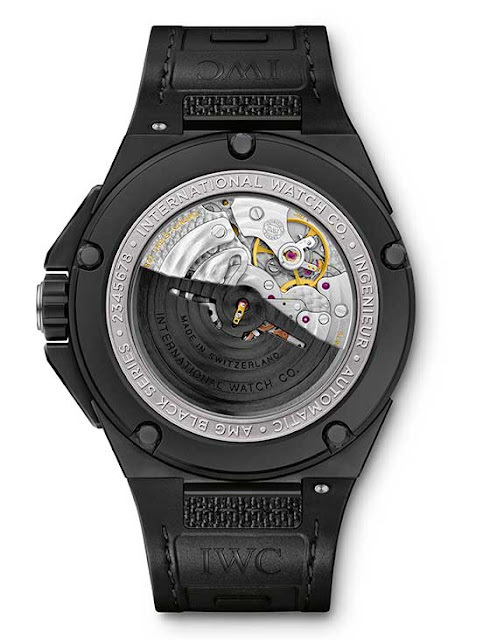 The back case shows IWC’s in-house automatic mechanical 80110 calibre with its black rotor. 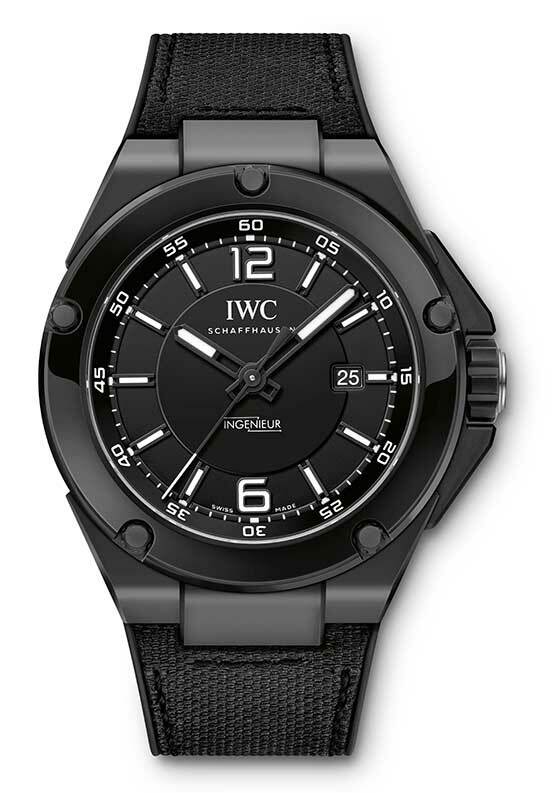 More news on the new 2013 Ingenieur line later this week.